The American Physical Society (APS) has awarded two of its annual prizes to physics professors at UC Santa Cruz: Sriram Shastry will receive the 2009 Lars Onsager Prize, and Peter Young will receive the 2009 Aneesur Rahman Prize. The APS awards over 40 prizes each year, but rarely do two awards go to the same university. "To get two in one year in the same department is a real coup," said David Belanger, professor and chair of physics at UCSC. 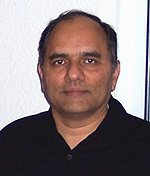 The Onsager and Rahman prizes were established to recognize outstanding work in theoretical statistical physics and computational physics, respectively. Both Shastry and Young are experts in condensed-matter physics and study the phenomena that allow researchers to understand, create, and exploit new materials. Advances in this field often lead to new applications, such as better superconductors and green energy technologies. Shastry studies the complicated interactions of strongly correlated systems, of which the best known are high-temperature superconductors. High-temperature superconductors are easier to cool and may eventually replace the low-temperature superconductors currently used to create the magnetic fields for MRI machines and magnetic levitation trains. In addition to explaining these superconductors, Shastry's work has advanced the understanding of thermoelectric materials, which may someday be used to capture waste heat and convert it to useable energy. The Lars Onsager Prize recognizes Shastry "for pioneering work in developing and solving models of strongly correlated systems and for wide-ranging contributions to phenomenological many-body theory, which have advanced the analysis of experiments on strongly correlated materials." Shastry earned his B.Sc. in physics from Nagpur University, his M.Sc. from the Indian Institute of Technology, Madras, and his Ph.D. from the Tata Institute of Fundamental Research, Bombay. He joined the UCSC faculty in 2003 and was elected an APS fellow in 2006. In 2000, he was elected a fellow of the Academy of Sciences for the Developing World. Young's research in theoretical condensed-matter physics focuses on numerical studies of phase transitions in disordered magnetic systems called spin glasses. Spin glasses are used as experimental platforms for research because they can be probed precisely with magnetic fields, and because they are relatively simple to simulate. The properties of these unusual materials change when they undergo phase transitions, analogous to the transition of liquid water to ice. Young studies these transitions, including their effects in superconducting materials. His work in spin glasses lays the foundation for solving many similar problems in other fields, such as protein folding in biology and optimization problems in computer science. The Aneesur Rahman Prize recognizes Young "for his innovative and definitive numerical studies of spin glasses and the vortex glass state of high-temperature superconductors." Young earned his M.A. and D.Phil. in physics from Oxford University. 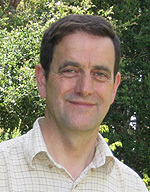 He joined the UCSC faculty in 1985 and was elected an APS fellow in 1989. He was honored by UCSC in 2003 with the Excellence in Teaching Award and by the Division of Physical and Biological Sciences with its 2004-2005 Outstanding Faculty Award. The APS selected him as one of its inaugural group of "Outstanding Referees" earlier this year. The prizes will be presented at the American Physical Society meeting in Pittsburgh in March 2009.